It takes approx 15 mins by walking. The most recommended way is by taxi ( approx 700 yen ). until you get to the next intersection. 3. Turn right at the intersection and walk straight approx 10 mins. 4. Turn left on the way narrow street one block before the big bridge. 5. 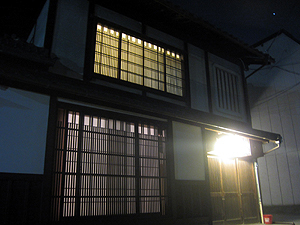 Walk approx 100m from Shichijo street, K's Villa is on right side of the street. 1. Across the big bridge on Shichijo street and turn right on the first one-way narrow street. 2. 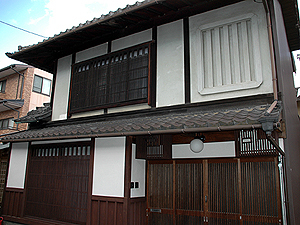 Walk approx 100m from Shichijo street, K's Villa is on right side of the street. If you drive, please park your car at the pay parking lot. There are some car parkings on Shichijo-dori street which costs you 1,500yen-2,000yen for 24hours. Please show this to a taxi driver.